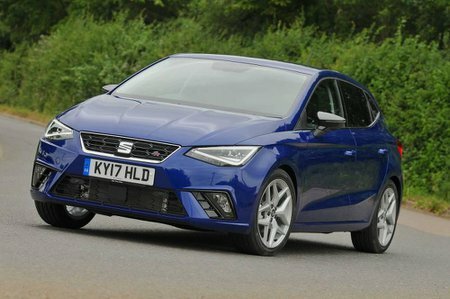 Seat Ibiza Running Costs, MPG, Economy, Reliability, Safety | What Car? Broadly speaking, the Ibiza is priced between the Skoda Fabia and Volkswagen Polo. It should hold onto its value better than the former and as well as the latter, so it’s certainly a sound proposition if you’re buying privately. 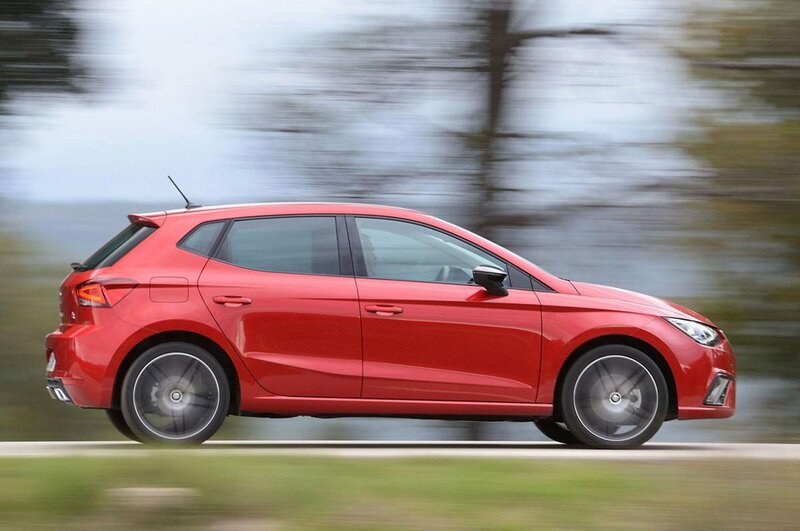 If you're buying on finance, as the vast majority of small car buyers opt to do, the Ibiza offers slightly lower monthly repayments than the Polo and Ford Fiesta, although the Fabia is cheaper still. Meanwhile, insurance and servicing bills are very competitive by class standards. If you’re a company car driver, the 1.0-litre petrol engine (in any of the three power outputs) is definitely your best bet, thanks to its low CO2 emissions. The diesel emits even less CO2, but will actually cost you more in benefit-in-kind tax because diesels are taxed at a higher rate. So far, we've only put the 1.0 TSI 95 through our real-world True MPG tests; it averaged a seriously impressive 54mpg. We’d steer clear of entry-level S trim, which misses out on alloys, a colour touchscreen, a leather-trimmed steering wheel and split-folding rear seats. 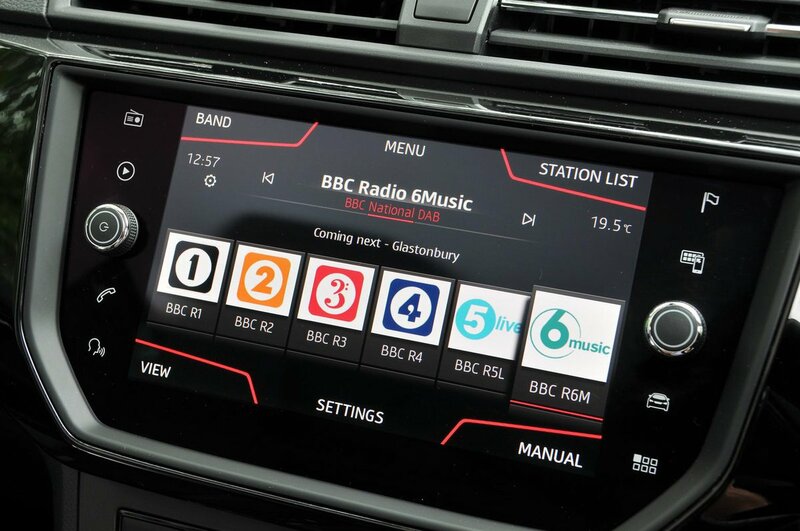 Stepping up to SE trim gets you all of those things, but you still miss out on the excellent 8.0in touchscreen infotainment system (see infotainment section), automatic lights and wipers and rear parking sensors. Meanwhile, SE Technology features the 8.0in touchscreen but is only available on two engines: the weedy 74bhp 1.0 petrol and the expensive 79bhp diesel. For that reason, our favourite trim is FR. As well as adding the larger infotainment screen and 17in alloys, this trim gains you a more aggressive bodykit, sports seats, a DAB radio, cruise control and rain-sensing windscreen wipers. You also get sports suspension, which makes the ride a bit firmer but by no means jarring. Usually,we'd advise steering clear of range-topping trims on cars of this size, but with the Ibiza that's not necessarily the case. Xcellence trim gets you a list of standard creature comforts that would shame many luxury cars, including keyless entry and start, sat-nav, part-leather and part-Alcantara seats and dual-zone climate control. Seat as a brand was rated average in our latest reliability survey. It was beaten by the likes of Honda, Skoda and Ford, but fared better than Nissan, Peugeot and even Volkswagen. The standard warranty period is three years or 60,000 miles, although this can be extended for a fee. It’s worth bearing in mind that Hyundai and Toyota offer five-year warranties as standard, while Kia covers you for seven years. All versions of the Ibiza have six airbags, active head restraints, tyre pressure monitoring and an automatic emergency braking system to help prevent you from accidently running into the car in front. All of this helped the Ibiza score five stars (out of five) in its Euro NCAP crash test, with particularly strong scores for adult occupancy protection and pedestrian safety. A tiredness recognition system is standard on FR and Xcellence trims, as is an alarm. You have to pay extra for these things on the cheaper trims. However, it's slightly disappointing that there's no option to add blindspot monitoring or traffic sign recognition.